The silver jubilee celebration programme of Sankardeva Shishu Vidya Niketan in Goalpara of Assam concluded on Thursday with a colourful cultural evening. The school has completed its 25 years on Wednesday. The celebration began with the lighting of lamp by Benoy Krishna Ghosh, former MLA on Wednesday. “I dedicate this day in the name of those students, teachers, management and well wishers whose sacrifice has made successful and fruitful this long journey of twenty five years,” said the octogenarian social worker. 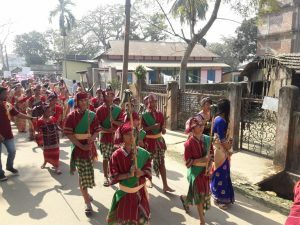 Following the lighting of lamp, a cultural rally was organized on Wednesday which was flagged off by Amitava Sinha, the outgoing superintendent of police. 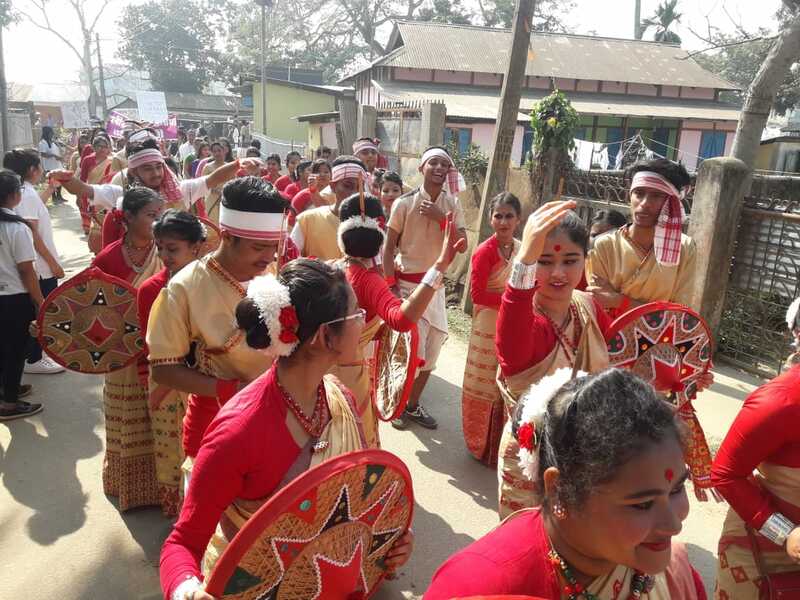 :This is a wonderful occasion to be present here, see the colourful representation of almost all the cultural troupes of the state and officially flagging it off,” said the super cop. On Thursday, a bike rally was taken out on the main streets of the Goalpara town. 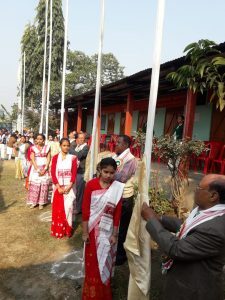 The rally was flagged off by Nabanit Mahanta, additional superintendent of police who lavished praise on the rally being participated by the old and new students. Mahanta focused and emphasized upon maintaining discipline whether in a rally or in real life. The school has a glorious past and thousands of its former students have established themselves in social, cultural, political and administrative lines and are providing active services to the society. The get together of the alumni and their ecstasy by meeting their dear ones after a long gap became the centre of attraction in the celebration. 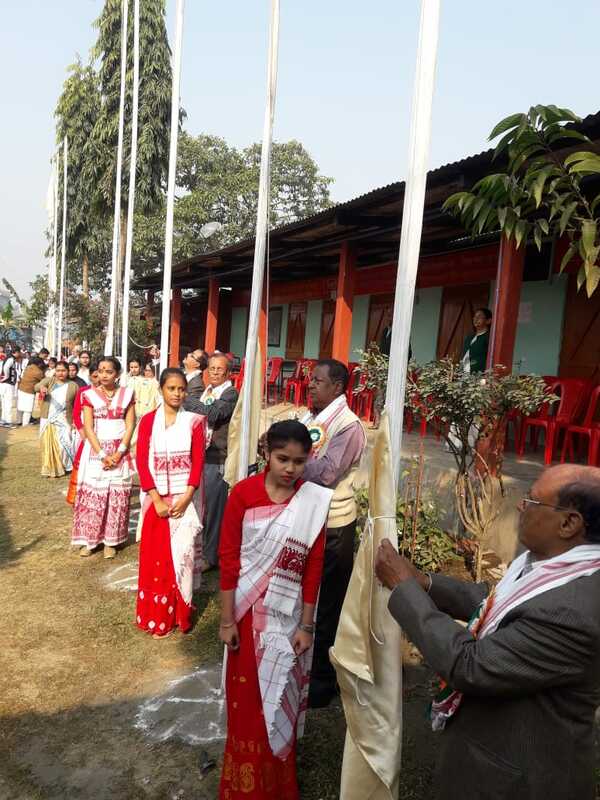 On the concluding function, Dinesh Ch Roy, president, Ranjit Kalita, secretary and Rupam Patgiri, headmaster or Pradhan Acharya thanked the people of Goalpara for extending cooperation for long 25 years to this reformist school and sought blessings for the coming days.